3. Grate zucchini & carrot, then put in a mixing bowl. 4. Throw chickpeas, eggs & cooled broccoli in food processor – blend but don’t purée. 5. Pour lumpy mixture into bowl w carrot & zucchini, then stir. 6. Tip in quinoa & stir again. 7. Slowly pour in flour & mix gently. 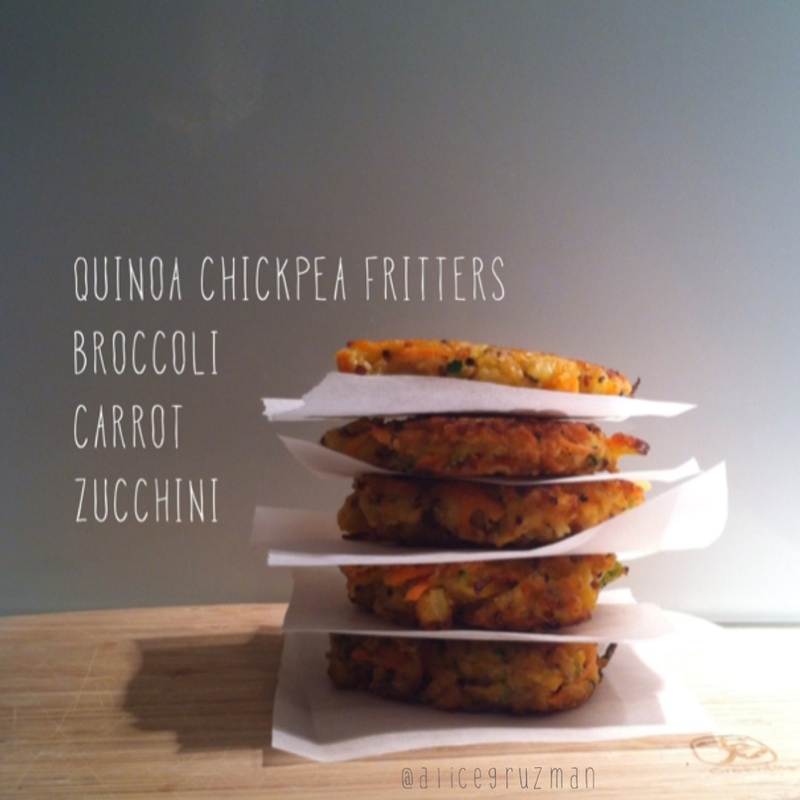 This entry was posted in Nutrition, Recipe and tagged broccoli, carrot, chickpea, childfriendlymeals, dairyfree, eggs, fritters, glutenfree, iqs, kidsdinner, Quinoa, sugarfree, vegetarian, zucchini by 6 Clean Ingredients. Bookmark the permalink.